This comprehensive course will go over the tools and methodologies that are used during penetration tests in enterprise network environments. The course will utilize a lab environment for hands on instruction of manual penetration testing methods, as well as training on the use of exploitation frameworks, such as Metasploit. This course will focus on methodology, processes, tools, and techniques. By the end of the course, the student will have an understanding of the underlying workings of network exploitation, and will have experience in the successful execution of attacks. – A Laptop with at least 4Gb of RAM with the ability to run multiple virtual machines. Target Audience: The class is perfect for those seeking to enter the information security career field, as well as those seeking to develop the skills and experience needed to succeed as a penetration tester. Alexander Heid is co-founder and President of HackMiami, and is a Senior Security Researcher at Prolexic Technologies with the PLXsert team. Previously Heid served as Chapter Chair for South Florida OWASP. He has previously worked within the finance and defense industries as a vulnerability analyst. Heid’s specialties include digital crime intelligence analysis, application security auditing, vulnerability analysis, penetration testing, and malware reversal. Much of the research he has participated in has been featured at national industry conferences and global mainstream media. Rod Soto is the Secretary of the Board of HackMiami. HackMiami is made up of experienced information security professionals that have years of experience working with large corporations, governments, and small businesses. 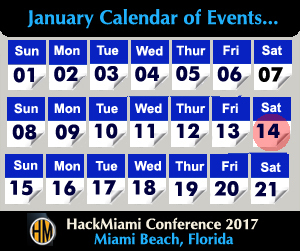 Members of HackMiami are on the cutting edge of vulnerability research and regularly present at local information security group meetings (ISSA, OWASP) and international hacking conferences around the world (Defcon, HOPE, OWASP AppSec, Hacker Halted). James Ball is the Chief Information Security Officer of HackMiami. Mr. Ball oversees the security of HackMiami’s networks and infrastructure.Mr. Ball has over ten years of experience in the field of information security with a specialization in web application penetration testing. He also specializes in the art of Information Retreival and Disaster Recovery.